A Traditional cross arrangement beautifully presented with roses and chrysanthemums complimented with forest fresh greens. 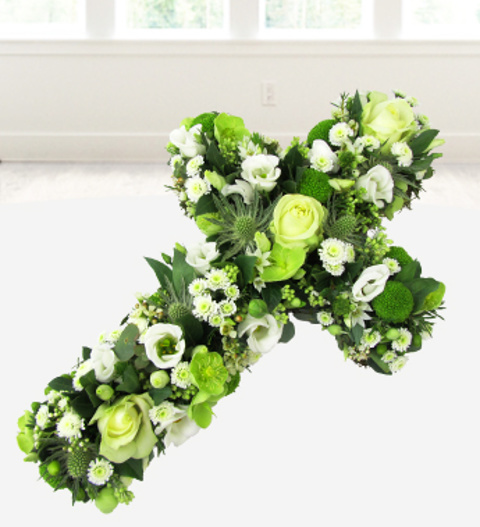 All our crosses are designed and arranged by our professional florists. Each arrangement is hand delivered direct to the funeral or funeral directors.